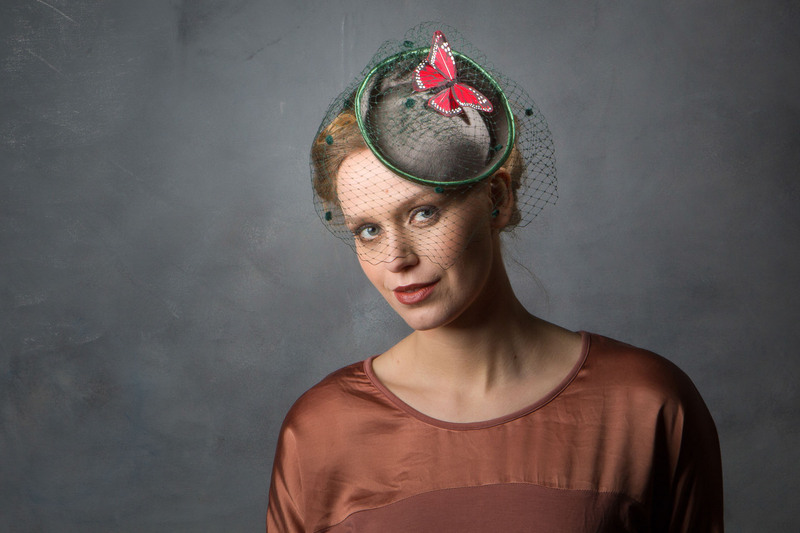 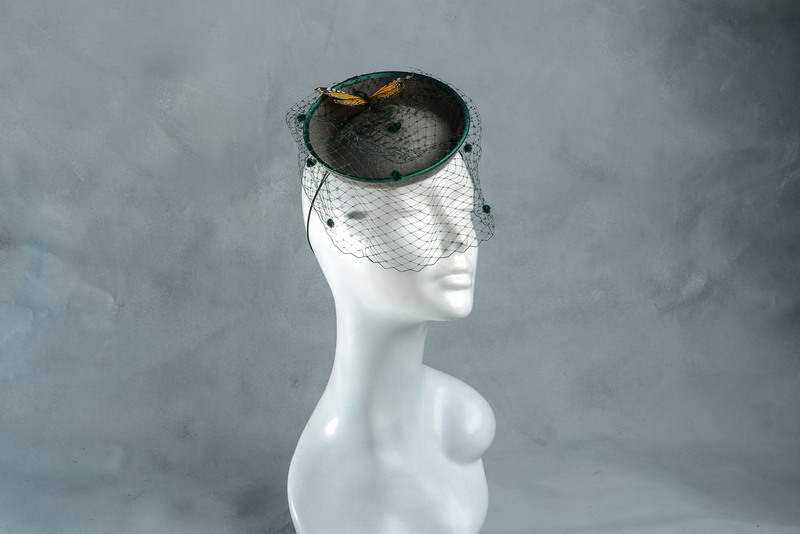 Grey felt base cocktail hat with dotted green birdcage veil and feather butterfly. 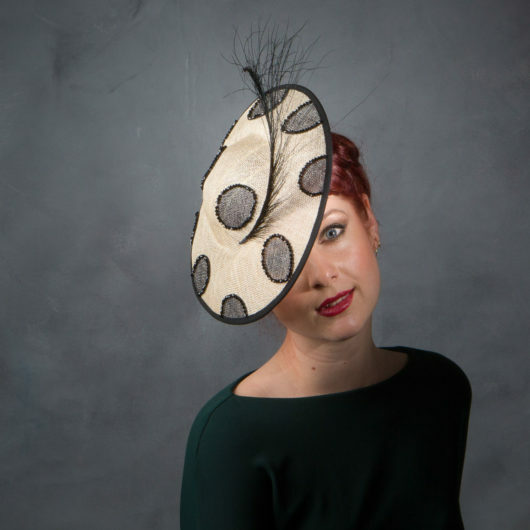 A great winter wedding hat. 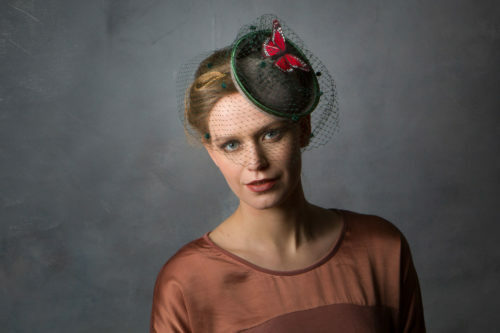 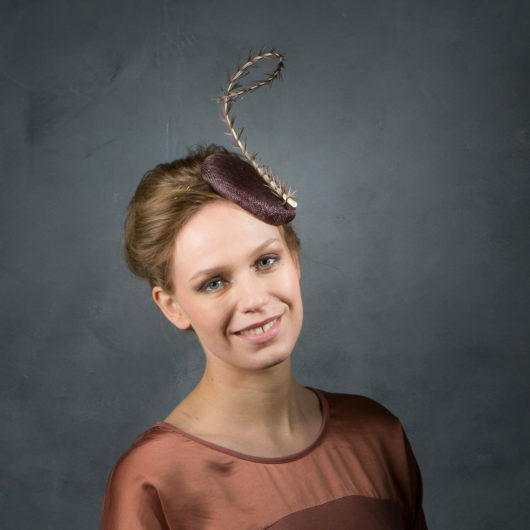 Any element of this hat can have a change of colour, eg base, birdcage veiling, trim or butterfly. 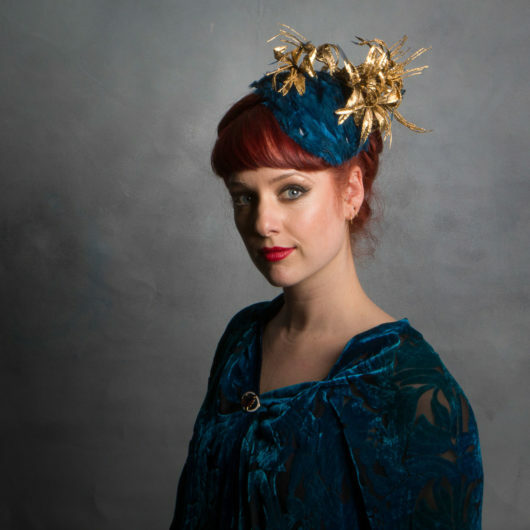 There will be a £20 charge for each change. 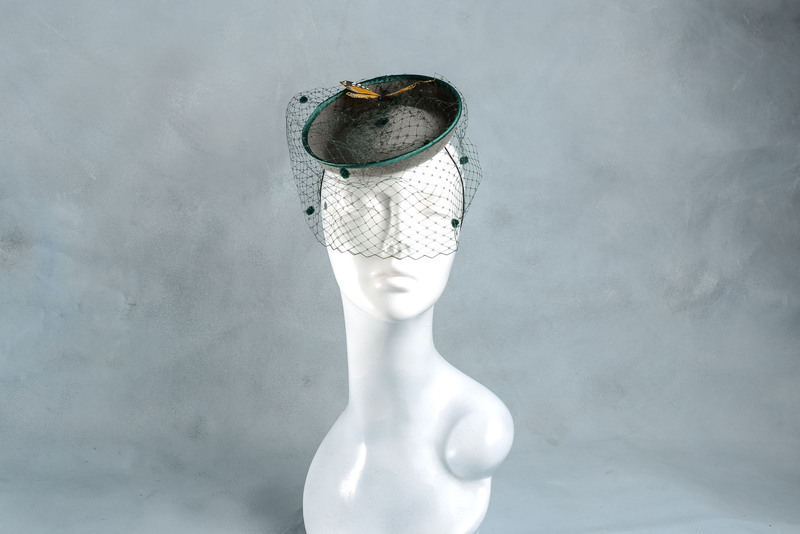 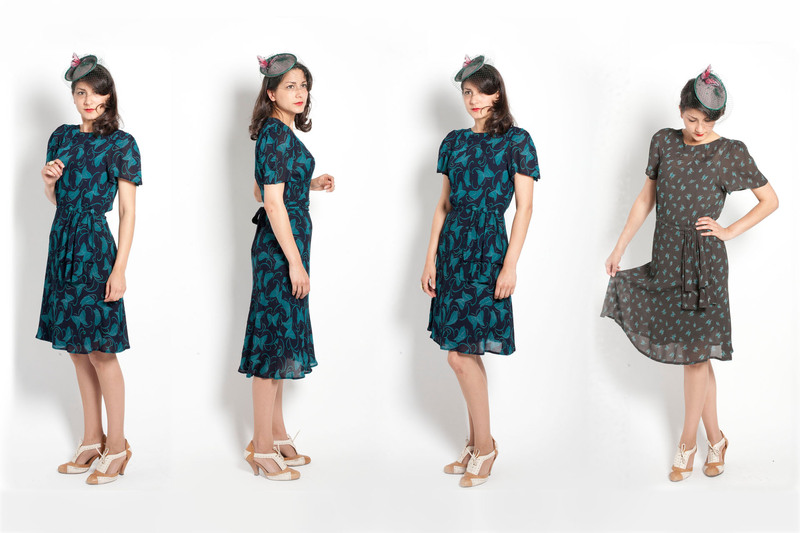 Held with millinery elastic, one size fits all.